Thinking about owning a second home? Whether you want a relaxing getaway spot, a future retirement home, or just a place to rent out for profit, having a second home has always been a good investment. But how will you know where to look, how to invest, and what you need to avoid? Also provided are a list of the best places in the world to buy a home, ways to improve your home and make it first rate, and rules that you should talk about with your guests. 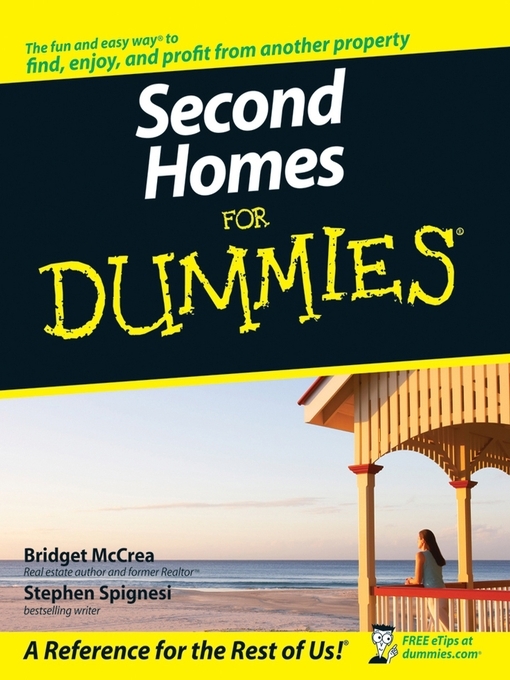 With Second Homes For Dummies, you can make your dream of having a second home come true!